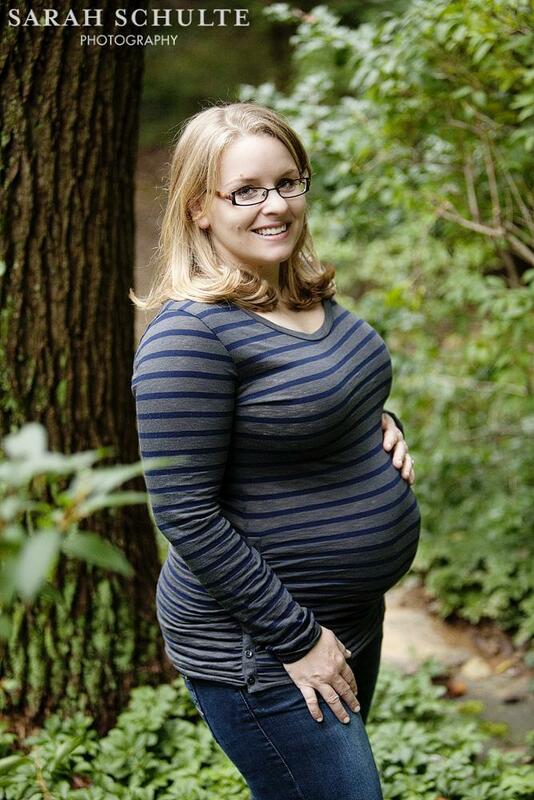 Last night, our favorite photographer – Sarah Schulte Photography – stopped by to take professional maternity photos. By early this morning, she had already sent us teasers! ENJOY!! This photo was taken in our front yard. Sarah did a fantastic job of finding the perfect backdrop to make it look as though we were lost in the woods. Kristin was very excited about the possibility of a photo shoot in the rain. The rain held off until after dark, but we were able to get a few shots in at the end of the day. More photos will be coming! Thanks again Sarah!!! !